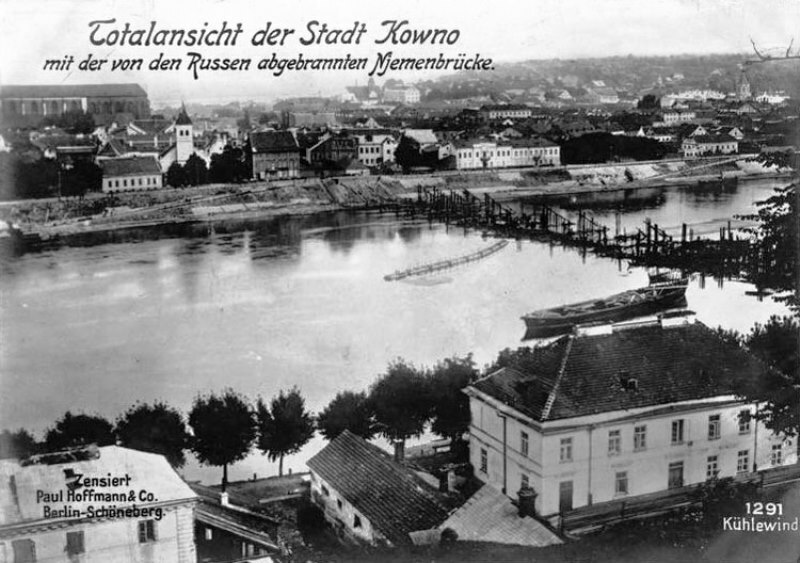 German trenches appear on the Eastern Front today along the banks of the Neman River, where the Eighth Army has been unable to budge the Russian Tenth and First Armies all month. Like the Western Front, the Eastern Front has seen great, moving masses of men line up to blast each other to pieces, then march in pursuit of one another, then settle into a phase of stagnant entrenchment by shocked and exhausted armies. After sixty days of marching, fighting, missed meals, and lost sleep, men are taking cover from the massed shellfire that kills them with greater efficiency than any weapon in history. 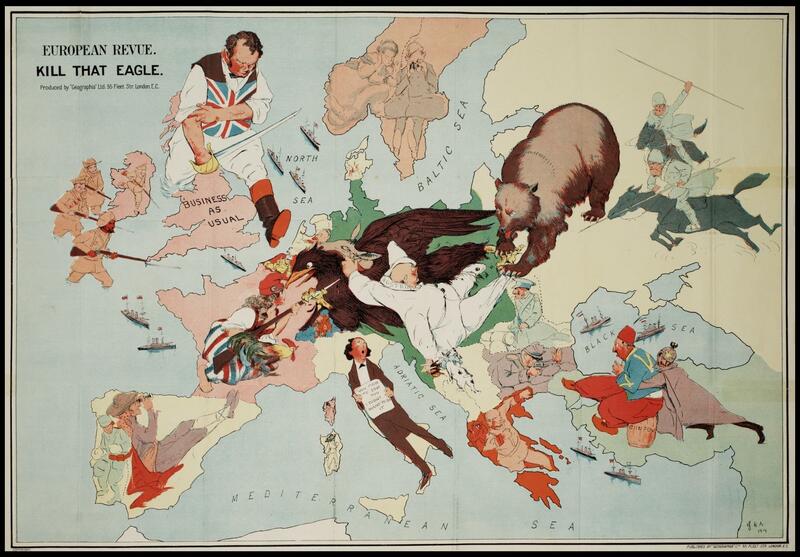 In 1914, every combatant command treats the offensive as the only decisive form of action. Yet trenches are a key part of German defensive doctrine, and Russia’s peasant soldiers have never been afraid to dig, either. The war of movement is not over yet on either Front, for generals on both sides are still trying to outflank the enemy, but the iconic phase of this war is settling in on the Western Front and beginning to happen on the Eastern Front now, too. Armies have always fought to dominate high ground, so we should not be surprised by the rapid evolution of the air battle on both fronts, either. The war in the skies develops in synchronicity with the trenches now worming their way through the fall landscape. Along with rapid-firing artillery and machine guns, airplanes are a new military technology that unexpectedly supports defenders better than attackers. The first documented hostile aerial encounter happened three weeks ago in the East. 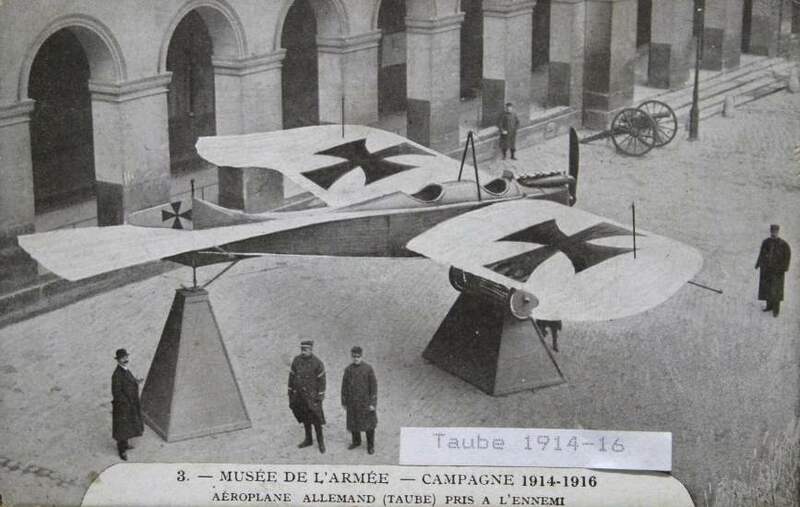 The frequency of these incidents has been increasing on all fronts, and in fact the Central Powers have just started painting large insignia on their airplanes to stop a spate of friendly fire incidents by nervous soldiers on the ground — and aggressive friends in the air. 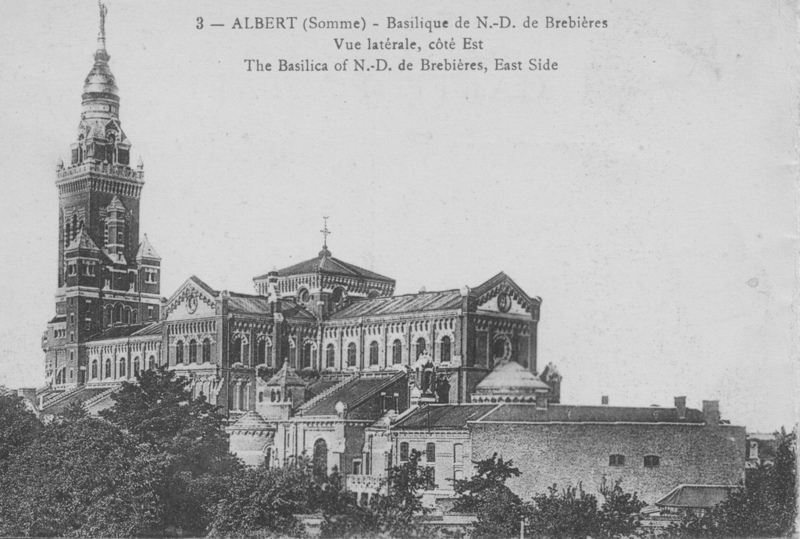 In France, one battle is petering out near Albert while another is being joined further north near Arras. 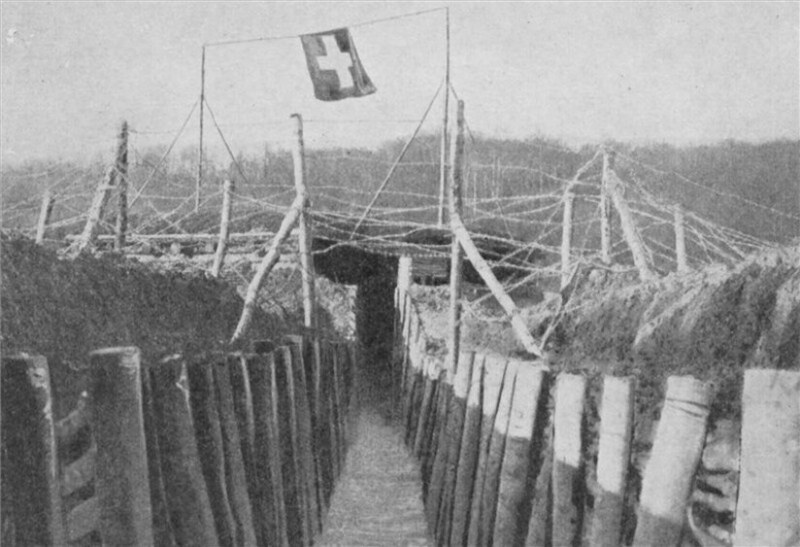 From Albert to the Swiss border, the French and German armies have already settled into nearly-continuous lines of opposing trenches separated by ‘no man’s land’ — a term that is invented and popularized during this war. By the end of October, the Germans and the allies will be fighting along a completely-closed front from Switzerland to the English Channel. But not all armies dig their trenches the same way. 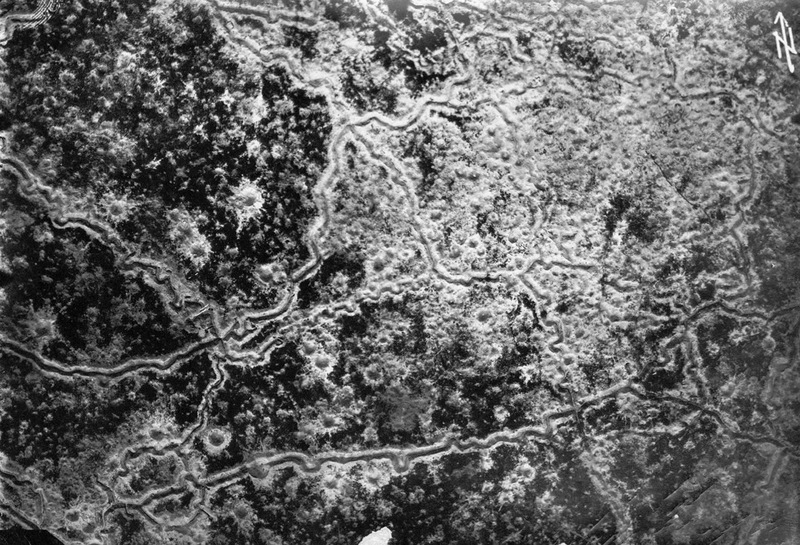 The Russian army tends to dig a single line of trenches rather than two or three to form a defense in depth, then puts as many men as possible up front to stop the enemy attack. France refuses to improve her trenches for fear that men will lose their offensive spirit. 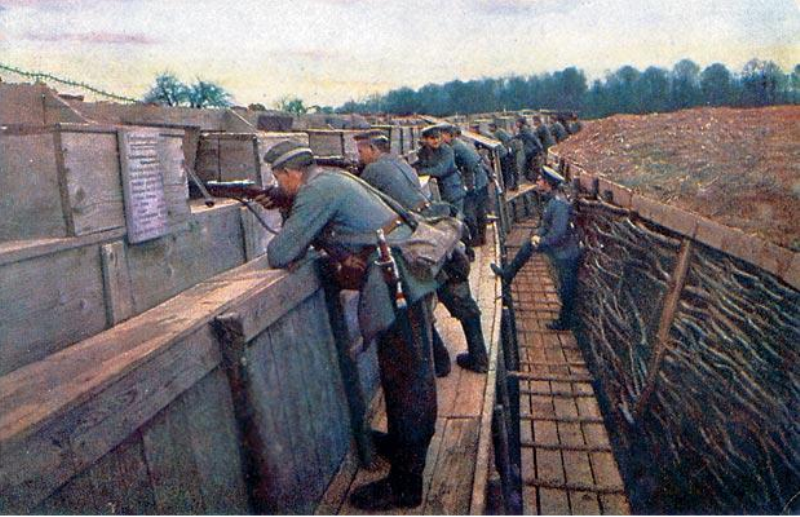 German troops constantly improve and maintain their complex trench lines throughout the war. Along the Western Front, the armies are already using whatever lengths of barbed wire they can find in fields and barns to erect obstacles. Urgent appeals for more wire reach national capitals by November, with the first bales arriving in mid-Winter. By the Spring of 1915, ‘no man’s land’ is absolutely lousy with wire mantraps along the entire length of the Western Front, with the Eastern Front not far behind. 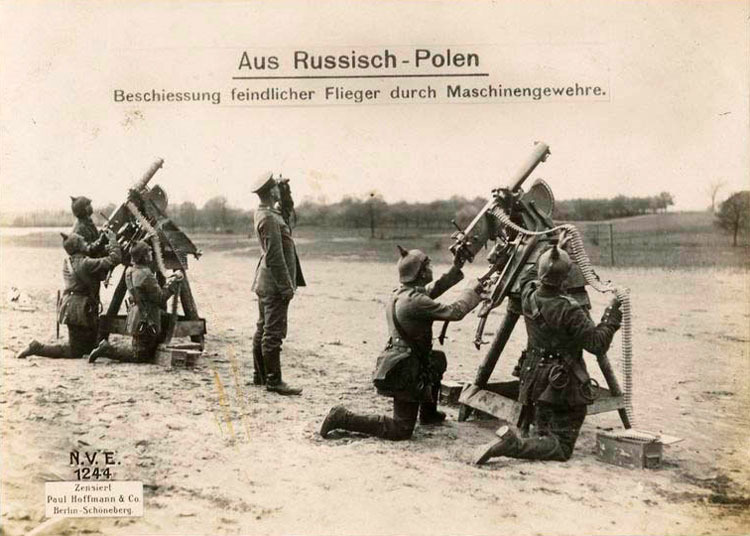 The big differences between the Eastern and Western Fronts are size and troop density: even with the five million-man Russian army, the Eastern Front is much longer, and has one-third the number of soldiers per mile of front. Ironically, Germany started the war attacking France in a bid to knock them out of the war before the Russian reserves could reach the Polish frontier, but now that the Western Front is locking down for the long term, the Kaiser will look East for his breakthrough.